Have you ever wondered why you can get broccoli by the bunch or by the crowns? Why the two options if essentially they are both the same? Broccoli stalks are an often-overlooked part of the vegetable, so much so that people usually just go straight for the broccoli crowns in the produce aisle. What they probably don’t realize is that underneath the tough skin of the stalk is a crisp and tender flesh with a sweetness to it which the florets don’t have. I like to get broccoli in whole bunches; eat the florets first (because they won’t last as long as the stalks), and save the stalks for a couple days later. This is a great way to utilize every part of this vegetable for all it has to offer. Some would say this is part of a new “whole,” “slow,” “hippie,” “farm” or what-have-you-foodie-jargon-word. 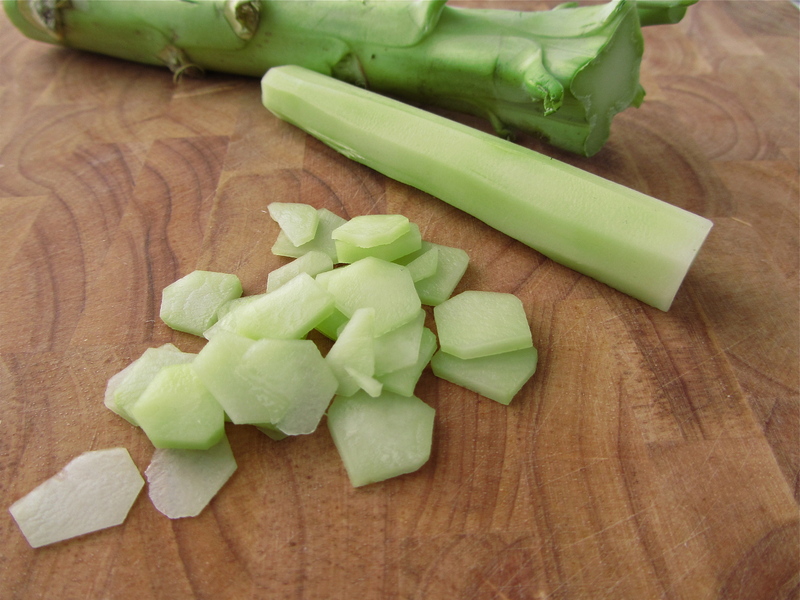 For me, I simply call it natural to want to use as much as I can from the ingredients that cross my chopping board. Waste not, want not.